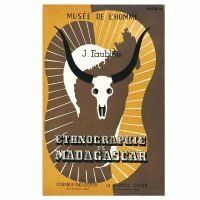 FAUBLEE, J. L’Ethnographie de Madagascar. SIBREE, James. The Great African Island. 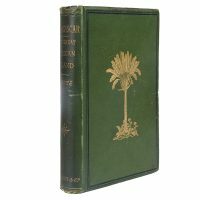 Chapters on Madagascar. 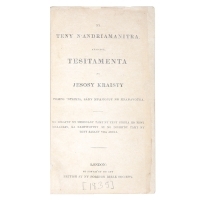 Ny Teny N’Andriamanitra, atoe hoe, Tesitamenta ny Jesosy Kraisty. OLIVER, S. P. Madagascar and the Malagasy. 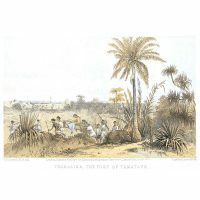 With sketches in the Provinces of Tamatave, Betanimena, and Ankova. [MOTTE, Benjamin]. 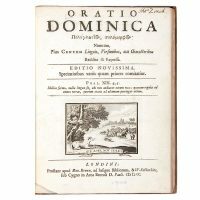 Oratio Dominica Polyglottos, Polymorphos. Nimirum, plus centum linguis, versionibus, aut characteribus reddita & expressa.